10.24.09 = Somewhere there is an Ann missing her Andy. this is great...love it! very sweet shot. Very sweet shot,Great comp and lighting! 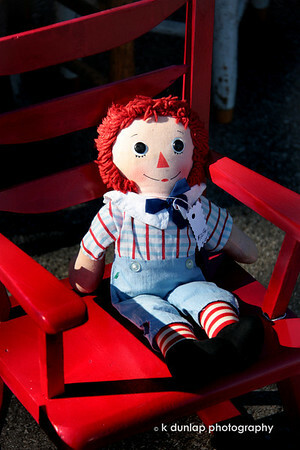 If I ever see and a Raggedy Ann all by herself, I might just have to buy it. Then, I'm sending you the picture or maybe even the doll! This is a great shot. The lighting is perfect, and the red chair compliments Andy perfectly. Great shot - and I know where she is!!!!! I'll show you with my next daily! What an adorable, quaint photo! Love the colors and light -- and, of course, that adorable Andy!